PlayStation Vue is a great way to watch live TV without cable. Vue is an affordable, flexible and non-contract service that offers many of TV’s most popular channels. The PlayStation Vue channel package is excellent and will allow you to keep up with live sports, the hottest TV shows, and more. Read on for our full PlayStation Vue review. PlayStation Vue was created by Sony with the intention of giving folks who want to cut cable a great alternative. It is a live streaming service with several channel packages to choose from. There are different PlayStation Vue channel lineups available, with packages ranging from 45+ channels to 90+ and $45 a month to $80 a month, respectively. PlayStation Vue, or PS Vue for short, is a service that requires no cable, and no long-term contract. You may cancel your subscription at any time you wish. 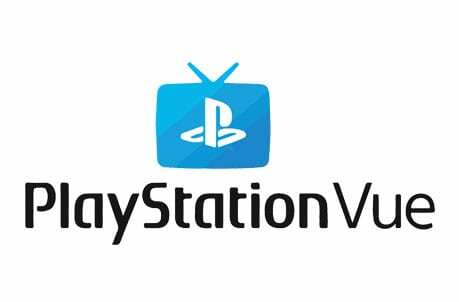 Read on to see our full PlayStation Vue review. Live Streaming of Popular TV Channels – The PlayStation Vue channels list lets you watch many of your favorite shows LIVE. You will have access to at least 45 channels to stream live, just as if you had cable TV. No Contract Required – Unlike cable TV, which locks you into 12 months or more, Vue is offered month to month with no long-term contract. On-Demand Content – Up to three days of primetime, popular shows are stored on Vue’s on-demand library, so if you miss a show you may be able to catch up by watching on-demand. Cloud DVR – The PlayStation Vue DVR lets you record live TV to watch alter. Store unlimited episodes for free, for up to 28 days! 5 Devices at Once – With Vue, you can stream on up to 5 devices at the same time. This is great news for families and large households. 10 Profiles – Each family member can have their own profile in Vue, which comes with personalized recommendations and a dedicated DVR storage folder. Multi-View 4 Channels at Once – On select devices (currently only PS4 and Apple TV), you can watch up to 4 channels at the same time, on the same screen. You can check the PlayStation Vue FAQ’s for more information on these features. Remember, you can try PlayStation Vue free for 5 days. There are several PlayStation Vue plans available. Depending on your needs, you can customize the PlayStation Vue channels you wish to subscribe to by picking one of the 4 main packages, and customize further by adding one of its add-on packages. Here are the current PlayStation Vue channels. Also, please note that PS Vue recently cut out all Viacom-owned channels, which means channels like Comedy Central, MTV, etc. are no longer available via Vue. Please Note: The majority of channels in PlayStation Vue plans are available nationwide for live streaming. However, PlayStation Vue local channels like ABC, CBS, NBC, and FOX are live in select markets and on-demand only in others. ABC (on demand everywhere, live in select markets), CBS (on demand everywhere, live in select markets), FOX (on demand everywhere, live in select markets), NBC (on demand everywhere, live in select markets), MyNetworkTV (select markets), Telemundo (select markets), AMC, Animal Planet, BBC America, Bravo, Cartoon Network, Cheddar Business, CNBC, CNN, Cozi TV, Destination America, Discovery, Disney, Disney Jr, Disney XD, E!, ESPN, ESPN2, Food Network, FOX Business, FOX News, Freeform, FS1, FS2, FX, FXX, HGTV, HLN, Investigation Discovery, MSNBC, National Geographic, NBCSN, OWN, Oxygen, PlayStation Emerging Filmmakers Program, Sci, Spotlight, StartTV, SyFy, TBS, TLC, TNT, Travel Channel, TruTV, USA, and WE TV. Everything in the Access package, plus: Big Ten Network, CBS Sports Network, Comet, Cooking Channel, NBC regional sports networks, DIY Network, FOX Sports regional sports networks, ESPN College Extra, ESPNEWS, ESPNU, Golf Channel, Hallmark Channel, IFC, Law & Crime Network, MLB Network, Nat Geo Wild, NBA TV, NFL Network, Olympic Channel, POP, SEC Network, Smithsonian Channel, SNY, Sundance TV, Tastemade, TCM and YES Network. Everything in the Core package, plus: American Heroes Channel, BabyTV, BBC World News, Boomerang, Cheddar News, CNBC World, Discovery Family, Discovery Life, Epix Hits, ESPN Deportes, FOX Deportes, Fusion, FXM, GiNX eSports TV, Hallmark Drama, Hallmark Movies & Mysteries, MotorTrend, Sony Movie Channel, Stadium, Tennis Channel, and Universal Kids. The Ultra Plan adds HBO and Showtime premium channels to the existing 90+ channel package. This is the highest PlayStation Vue price, but also the best selection of channels including premium channels. It’s the complete PlayStation Vue channels list (minus a couple of the standalone channels). Sony has a few packages of channels which you can add on to your existing subscription. These are not available as standalone products – you must first have a base package from Vue to sign up for these. These are available nationwide. There are also further discounts for PlayStation Plus subscribers. Sports Pack ($10.00 per month) Add the Sports Pack to the Core, Elite or Ultra plan to expand your live sports coverage. This adds NFL RedZone, Eleven Sports, ESPN Goal Line, ESPN Classic, MLB StrikeZone, NESN National, Outside TV, NBCSN, FOX Sports Regionals, FOX College Sports, and Stadium. FX+ ($5.99 per month) Add FX+ to enjoy over 1,400 episodes of FX channel shows commercial free! Epix Hits ($3.99 per month) Add Epix Hits for even more great Epix programming! Espanol Pack ($4.99 per month) For Spanish speakers, this package adds 9 great Spanish-language channels, including CNN, Discovery in Espanol, Fox Deportes, NBC Universo and more. Vue also offers a selection of standalone channels, which you can subscribe to without a Vue base plan. You can also add them to your plan. FOX SoccerPlus ($14.99 per month) FOX SoccerPlus covers soccer and rugby from around the world. FOX maintains the broadcasting rights for leagues all around such as UEFA Champion League, and UEFA Europa League. The standalone package can be a very helpful package for anyone seeking to get rid of cable, but remain up to date on soccer and rugby. SHOWTIME ($10.99 per month) For a more premium experience, choose this package to add SHOWTIME’s original programming. For an extra $3 per month, you can add EPIX for even more premium content. HBO ($15.00 per month) HBO, largely considered to be the best premium channel out there, is no available via PlayStation Vue for an additional $15 per month. This is essentially a subscription to HBO NOW, which means you’ll get the entire HBO library to watch on-demand. HBO+Cinemax ($21.99 per month) – bundle and save! Epix Hits + Showtime ($13.99 per month) – bundle and save! What Does PlayStation Vue Cost? As you can see, PlayStation Vue has many packages and differing pricing options for you choose from, with prices ranging from $45 to $80 a month. For as little as $44.99 per month you can have access to many channels. Other streaming services offer slightly less expensive prices, but Vue still offers good value. PlayStation Vue is a great, affordable option for many people. It is less expensive than cable, but offers a huge selection of channels you can view at home. And you can view all of these channels and sports with no contract, free to cancel your subscription at any time. That is a bonus! Is There a PlayStation Vue Free Trial? Yes, PS Vue currently offers a free 5-day trial. If you’ve been wanting to try Sony Vue but don’t know if you’ll like it, this is a good way to start things off. Is There a PlayStation Vue Gift Card? If you’re curious about giving the gift of PlayStationVue, it’s good to know that there is not currently a PlayStation Vue gift card. PlayStation Wallet funds should work, and therefore PlayStation Network gift cards can be used. However, this may create some unnecessary confusion, particularly for those not familiar with PlayStation products. It’s best to just subscribe directly from the website. PlayStation Vue Review: How Does It Compare? Price-wise, the service is competitive. Competitors like Hulu Live TV, YouTube TV and DIRECTV NOW are all priced in a similar range. 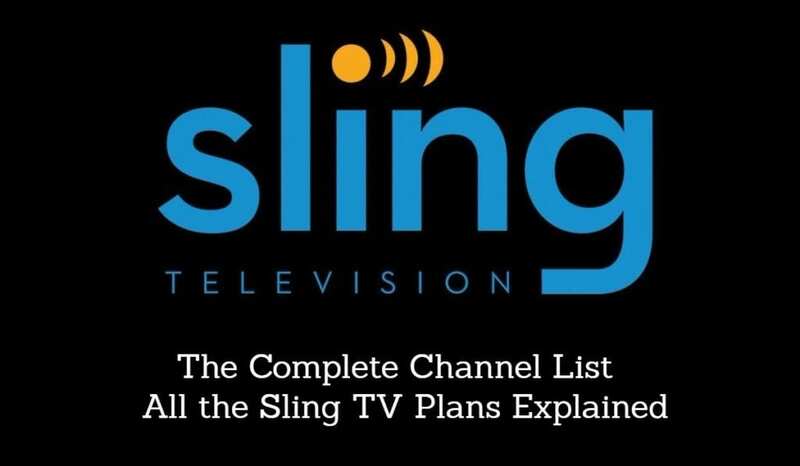 On the cheaper end, Sling TV starts at $25, and Philo at an ultra-low $16 per month. With that being said, Vue still offers good value. 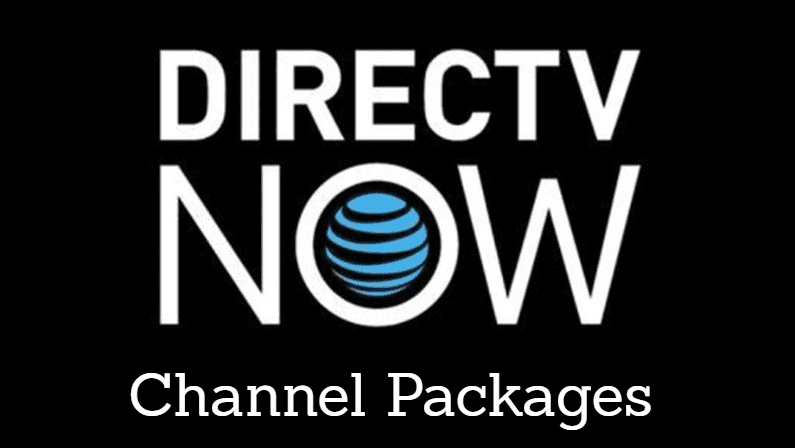 Their channel packages are fairly in line with competitors. Vue is most valuable for larger households and families who can take advantage of their generous policies to allow 5 simultaneous streams at once. We expect Sony to continue to flush out the features of Vue. Keep your eye on the Vue Blog for further updates. Overall, Vue is a great service that offers a lot of value. Compared to cable… well, there’s no comparison. Compared to competing streaming services, like Sling TV and DIRECTV NOW, Vue is competitive, but doesn’t perhaps doesn’t do enough to distinguish itself from the rest. Overall we’re excited about the service and would encourage you to try it out. Head over to the official website to learn more. I think it odd that PS Vue is not offered as a service on their Blu-Ray players. I don’t see any indication in the article or the PS Vue website that it is supported on any desktop operating systems. Another strike at least for me and my HTPC system. I know there are some subscription service options for Kodi but haven’t come across PS Vue to date. Are you aware of a Kodi addon that will connect? They actually have recently added PC and Mac support, so you can watch it on your computer.